Picture Perfect can work with you to create custom home improvement solutions that will improve your living space or improve the functionality of your home. We offer a wide array of custom carpentry services and can help you check off all of the minor home repairs on your list. Replace moldy drywall with new "greenboard"
Update a room's look by installing "drop ceilings"
Many other odd jobs & small home repair jobs! 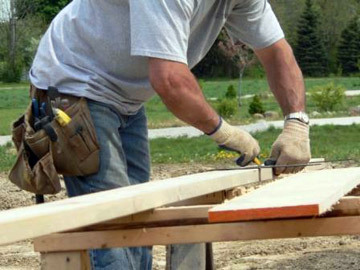 Call Picture Perfect for affordable custom carpentry services and general home repairs!